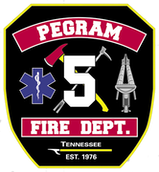 The Pegram Fire Department is a volunteer department owned by the Town of Pegram, Tennessee. We are located in the Southeastern part of Cheatham County bordering Metro Nashville Davidson County. Pegram Fire Department is staffed by volunteers who wish to serve the community. Our professional volunteers consist of Firefighters certified by the Tennessee Fire Service and Code Enforcement Academy, Emergency Medical Technicians, and Emergency Medical Responders. The fire district served by the Pegram Fire Department consists of roughly 30 square miles and includes the Town of Pegram corporate limits and Pegram addresses outside the corporate limits. We proudly maintain an ISO rating of a 5/5Y. 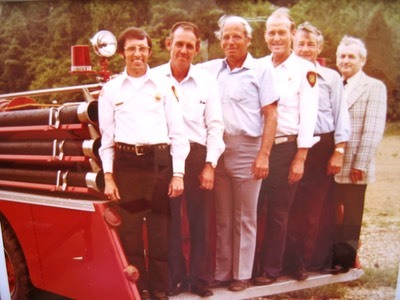 The Pegram Volunteer Fire Department was established and chartered in 1976 by a group of concerned men and women. These dedicated men and women had come to the realization that the residents of Pegram needed their own fire department. Until that time, the Pegram community had relied on other fire departments in Cheatham County for their fire and emergency services. Money was tight and hard to come by. But this didn’t stop this group of men and women. They worked non-stop. Whether it was going door-to-door asking for donations or having fundraiser lunches and dinners, they met their goals. The final result was a two-bay fire station and two homemade fire engines located at the rear of some donated property at 482 Thompson Road. This property that surrounded the station is now known as the Town of Pegram City Park. The fire department was chartered and overseen by a board of directors, not a municipal government, and the first fire chief was John F. Patrick. Most equipment the department received was donated, homemade, or bought with members’ own money. The department saw several other changes through the years. They received a homemade tanker, brush truck, and another engine. They also added two more bays and then had a four bay station to house their pieces of apparatus. At this point, the department still was relying on donations. Most members were still having to purchase their own turnout gear, pay for training fees, and even having to use their skills as mechanics or carpenters, besides being a volunteer firefighter. This made recruitment and retention of members very difficult. Finally in 1988, membership and money had gotten to a low point. The Town of Pegram had been incorporated as a municipality since 1972, but in 1988 was asked to take on a new responsibility. The Pegram Volunteer Fire Department asked to be taken over and to become a department of the Town of Pegram. The Town accepted and the Fire Department now had a little more secure budget to conduct operations. The department also saw some more changes with this inception. The fire station received two larger bays and two of the older bays were then converted into actual living quarters. The department also saw its first fire truck that was not homemade, but had actually been built by a fire truck manufacturer. The apparatus was a 1971 Mack 1250GPM pumper/tanker, which carried 1000 gallons of water. This brought the morale up tremendously and the truck was cherished like no other. Engine Company 503 is still in service today. The fire department did not receive their first new fire truck until 1994 with the delivery of a 1994 Freightliner chassis, Ferrara Fire Apparatus manufactured, 3000 gallon tanker. This was truly a milestone for the department. Tanker Company 511 was paid for on delivery, another milestone for the Town and the fire department. Few things changed until 2002 when the fire department moved into a new fire station and town hall building located at 308 Highway 70. The new station has three bays and is capable of holding six pieces of apparatus. Shortly after the move, the department purchased Engine Company 502 and Brush Company 521. The department now has a fire tax in place to take care of the majority of the operational budget. The department has also benefited from the Assistance to Firefighters Grant by the Federal Emergency Management Agency. All members are still volunteer, but do receive incentive pay pertaining to each member’s performance and duties as a firefighter. The Pegram Fire Department still strives to carry on the two things instituted by the founders and early members of the department – PRIDE AND COMMITMENT. Without these two ideals, the department would not be where it is today and where it is headed in the future.